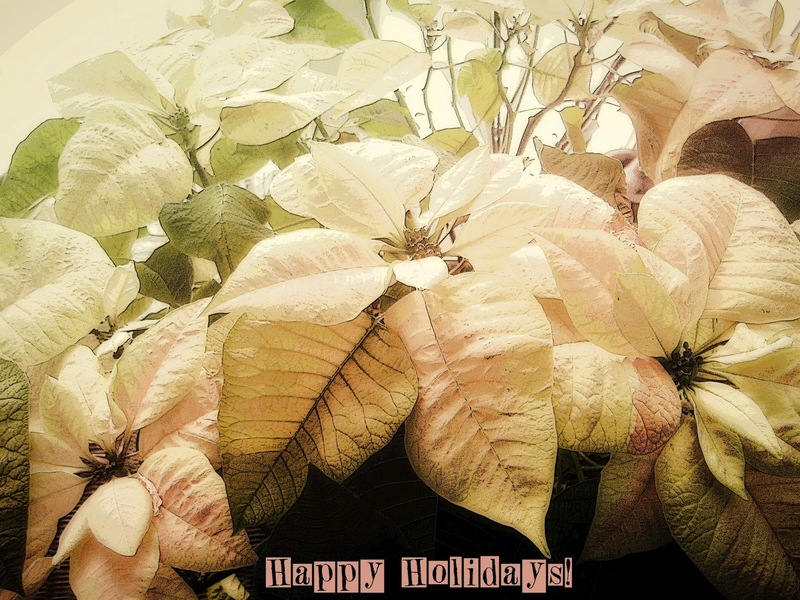 Original Art Studio: Season's Greetings! I've been absent for a year from this blog. Apologies..... seems there are just too many creative explorations to pursue! Am planning to re-activate this site in 2014, featuring both my photo art and some new abstract acrylic paintings. Until then, may the rest of 2013 be good to you and yours! Yes, it has been a long time – I thought you had given up. Your poinsettias are lovely. Happy Holidays to you too and it will be nice to see you again in 2014. Have a wonderful holiday season, Bonnie. Lovely to see you.. however brief. Well, there you are again! I was just flicking through when I saw your entry on my dashboard. Happy Holidays to you and yours, and a happy and healthy 2014. Happy Holidays, Bonnie. Looking forward to your return! Ahhhh- I love the thought of that! I have had no illusion that your time away is well-spent- but you are truly missed here too. Happiest of holidays to you and yours! Happy Christmas, Bonnie! Nice to see you here again. This is so unique and cool!